Professsional model. The classic Loud Whooshig siren sound. A wonderful sound effect - The mainstay of every well stocked percussion cabinet. 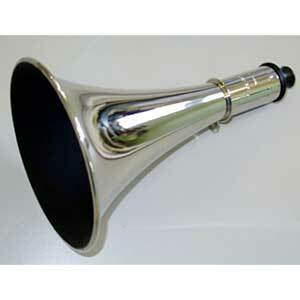 The spectacular whoosh of the Acme Siren with a 18cm bell piece that dramatically increases loudness.